If you shop at an Emté supermarket, you may have noticed over the last few months that you can now buy bread which has been made by the people of Laaf! Of course, who better to make bread? 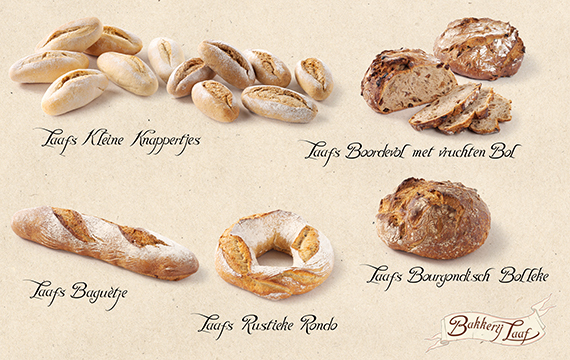 The three bakers in the Laaf Village have been baking away for many years now, so their bread must be very tasty! The Emté site even has some recipes for the Laaf bread. The Three Laven Bakers day in and day out bake the most delicious fresh breads. Their secret? They are up early in order to harvest the grain. Between the millstones of Lariekoek Huys in the Laaf Village, the grain is freshly ground and the best meal of the whole Lavenlaar made. In the bakery the Bakers knead the dough until it is elastic. The dough is left to rise, and baked in the oven using traditional methods. It’s very nice to see the people of Laaf getting around outside of the park again!